Hours Vary - Call for an appointment or to check on available Dates. Another luncheon in the boring ballroom at your local hotel………yawn. Lamar Street Center says goodbye to the typical event facility. From top to bottom this place is anything but run of the mill. 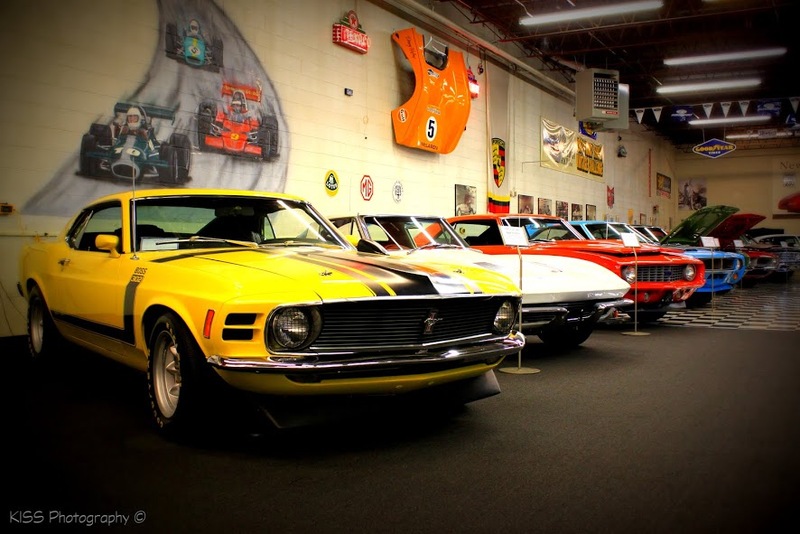 Imagine 13,000 square feet of sprawling space with motorcycles on the walls, a race car hanging from the ceiling, vintage gas pumps, and retro art in the form of classic cars. Hosting a variety of events from daytime corporate meetings to Saturday evening weddings, all guests will leave with plenty to talk about. Lamar Street Center gives its clients the freedom to hire their own caterer giving the guest the opportunity to make their event truly original. Contact us today for your one of a kind event! We provide ample room for all events from weddings to corporate fundraisers to photography and film events. Click here to learn how we can make your event memorable. With our array of different event offerings we want to ensure that you like what you see. Click here to see photos of some of our past events, as well as of our venue. You can bring in your own vendors, however if you are stuck on who to pick here are our preferred vendors. These rotate occasionally.